ISBN 1423436199. 8.5x11 inches. Budget Books. 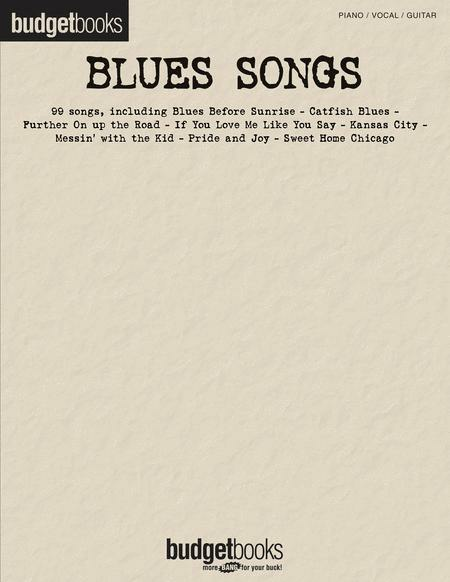 99 blues classics packed into one affordable collection! Includes: Before You Accuse Me (Take a Look at Yourself) • Blues Before Sunrise • The Blues Is Alright • Boom Boom (Out Go the Lights) • Born Under a Bad Sign • Catfish Blues • Damn Right, I've Got the Blues • Dust My Broom • Everyday I Have the Blues • Further On up the Road • If You Love Me Like You Say • Kansas City • Killing Floor • Messin' with the Kid • Nobody Knows You When You're down and Out • Pride and Joy • Sweet Home Chicago • The Things That I Used to Do • The Thrill Is Gone • Why I Sing the Blues • and more! These value-priced collections feature 352 pages of piano/vocal/guitar arrangements. With over 70 hit songs in each book for only $12.95, you pay 18 cents or less for each song! With Budget Books, you get more Bang for your buck! A great collection of "must know" blues songs. All the pieces have a great blues sound and not too difficult to play. 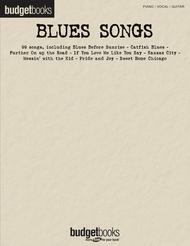 The book is a great buy with so many blues pieces. 17 of 27 people found this review helpful.